"Hit the Books" contest winner Maya Chamberlain, a student at Liberty Elementary School in Lexington, held her framed poster as she celebrated with her family, along with the Legends' Big L and the Chick-fil-A cow. At right is a photo of her winning entry. (WHITAKER BANK BALLPARK, Lexington, Ky.) A student at Liberty Elementary School in Lexington has won a bookmark design contest as part of the Lexington Legends/Chick-fil-A "Hit the Books" reading incentive program. Fifth grade student Maya Chamberlain created the winning entry. She received a Legends prize pack, including Legends merchandise, a framed "Hit the Books " poster featuring her artwork and a free membership in the 2013 Little Legends Kids Club. She also will be invited to throw a ceremonial first pitch at a designated Legends game for her school. Bookmarks featuring her artwork will be distributed to students at every school that participates in the "Hit the Books" program. More than 21,000 students from 52 central Kentucky schools are expected to take part in the program, which runs through April 1. Samuel Jung, a second grade student at Eastern Elementary in Scott County; Grace Kim, a fourth grade student at Wilmore Elementary; Leah Olmstead, a fourth grade student at Wilmore Elementary; and Allison Steele, a fifth grade student at Stonewall Elementary in Lexington all received honorable mention for their designs. They received framed posters and Legends merchandise. "Hit the Books has always been an important part of community outreach for the Legends," said Sarah Bosso, the Legends' director of community relations and special events. "We enjoy visiting the schools and meeting the students who are taking part in the program. Building literacy in childhood is a great cause. We're glad to help develop good readers as well as good Legends fans." In "Hit the Books," a baseball diamond is used to record credit for a student's reading. For every book a student reads, a teacher places his or her initials on a base. 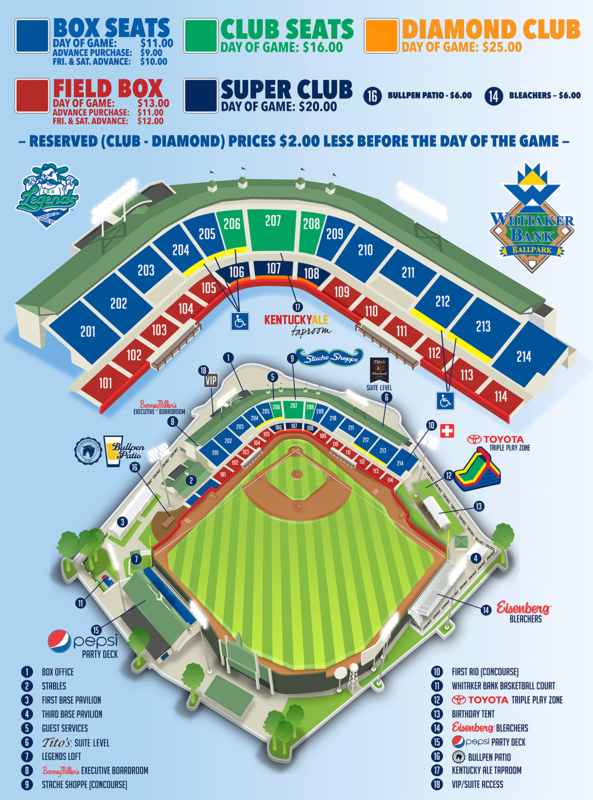 When the student has all three bases and home plate initialed by the teacher, the student may bring a "Hit the Books" bookmark to the Legends' box office at Whitaker Bank Ballpark to exchange it for two tickets to a Legends home game designated for their school. The 2013 season is the 13th for Legends baseball, and also marks the 13th year that the Legends have been associated with "Hit the Books." About 150,000 students have participated. The Legends, a class A affiliate of the Kansas City Royals, open the home season Monday, April 8 at Whitaker Bank Ballpark against the Asheville Tourists, an affiliate of the Colorado Rockies. For more information, visit www.lexingtonlegends.com.